Home » Email vendor Selection Articles » Demands on MarTech support are changing radically, can you keep up? The role of people in marketing is changing radically and email vendors need to react to the changing needs of companies. Traditional support like account management and ticketing systems are not future-proof. On-demand support and smart consultancy is what people need. Are you keeping pace? Technology for Marketing have launched the Marketing Technology Support Report 2017. The report goes into the changing landscape of support in MarTech. Marketing used to be a people business. But things are changing. Technology has become the key, marketing automation the nirvana and that has led to a shift in the role of support, people and even the human intellectual property in marketing today. We are constantly being told by the marketplace that support is valued less and less. However, I am still left with the feeling that there remains a dichotomy in MarTech at the moment surrounding the role of people and support, as technology takes over more of the marketer’s role. On the one hand, the growth of tech platforms benefits end users. For instance, the development of predictive systems, machine learning, and artificial intelligence are making more accurate decisions faster than human beings. This leads to improved ROI and ensures that users can achieve more with less resource than ever before. This leads to a changing role for people within the vendor organisations, a change highlighted by the report. The requirements of end users are shifting. For instance, account management is less valued, but effective support services and consultancy is increasingly required. This is supported by the fact that account management is valued less than someone at the end of the phone, according to the report. Over 50% of respondents still require support from their email provider in some form. So, it appears that what buyers of MarTech want from their providers has changed. At its core, it represents the end of old-fashioned account management and the requirement on vendors to develop new support services to meet these modified needs. Support, i.e. answering the phone to issues, is critical. Users don’t accept the concept of automated ticketing systems where they must wait days, if not weeks, for someone to discuss their issue. Vendor teams need to resolve complexity. As technology is developed it naturally becomes more complex despite attempts to achieve all-encompassing automation. And this is made more difficult by mergers and acquisitions that result in bolt together solutions. Without teams to help users overcome complexity the user will never maximise their spend or indeed the potential ROI. Operators! Many organisations need to hire agencies to run the technology they have purchased because they cannot resource it internally! Training, training, training… on new releases and to support the user’s own revolving door of employees. Integration specialists are increasingly in demand. This goes back to the subject of complexity, but take just one example, the growing use of API to integrate with 3rd parties. Marketing teams need support to help make APIs credible benefits clear to their business. And finally, good old consultants. The demise of the account manager means that the potential role of the consultant is broadened. Companies will always need an external view, they naturally become blind to the bigger picture if their only view is an internal one. I love the quote above from one of the respondents in the report, as it perfectly encapsulates the feeling I’ve heard from a lot of companies in the last 2 years. Whilst I’m generalising a little, technology providers are increasingly leaving support up to 3rd parties. And that support is fracturing into different requirements. The report clearly says there is no substitute for insight, or indeed commitment, from the vendor. 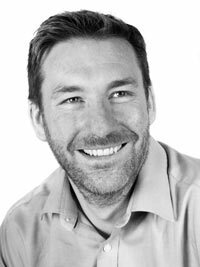 The end user will need help to deliver the Vision that they were sold – who better to help deliver that vision than the organisation who knows the technology the best? I particularly enjoyed the wish list from respondents at the end of the report. It has some great thoughts that everyone should consider, both vendors and clients. I wanted to end with that quote, as it sums up the requirements for people in MarTech going forward. Everyone wants the tech to do as much of the work as possible but they need their vendor to be available to support when they require it, in a quick and convenient fashion. 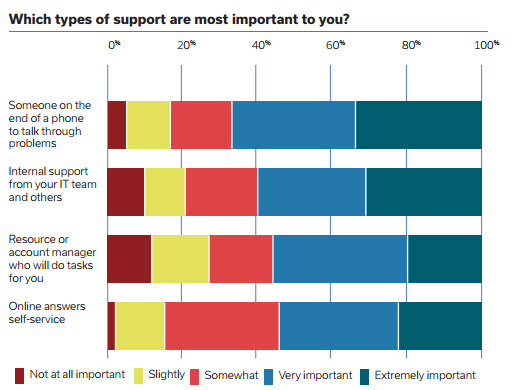 The role of support in MarTech, we can deduce from this, may be a landscape of shifting requirements, but it still requires people to be front and centre.